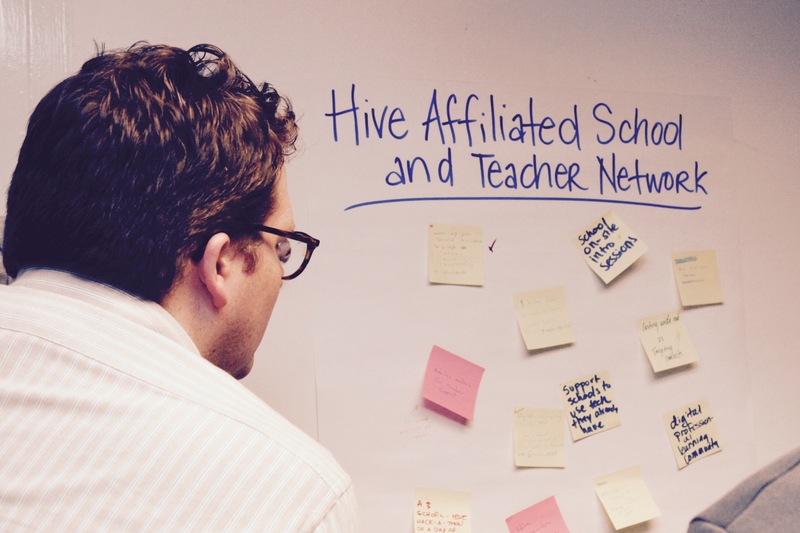 Our Hive PD Calendar is up and running and organizations have begun submitting their events! The School-Hive Moonshot Working Group is now throwing down the gauntlet. 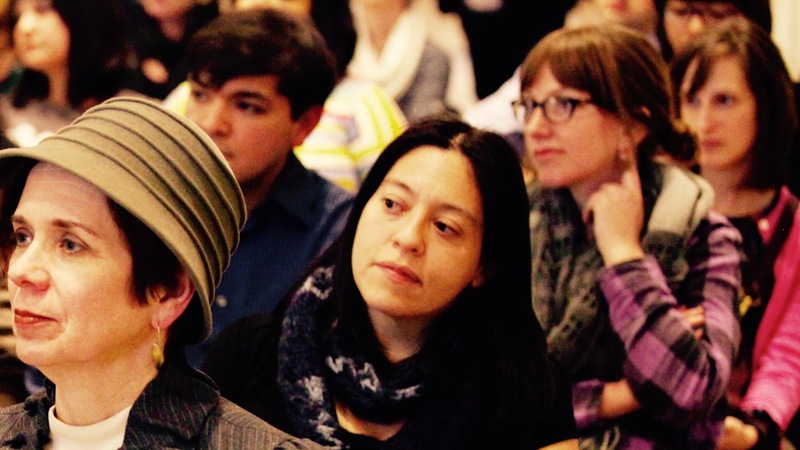 We challenge you to add your professional development events to the calendar today. Isaiah knew that teachers need and want to have engaging educators showing them new ways to approach curriculum, new ways of innovating classrooms, new resources and tools to enhance their students’ experiences. His passion pushed us to make the teacher PD calendar a reality. It was his sense of urgency that pushed us forward. The members of the School-Hive moonshot group had been working hard towards Hive Chicago Buzz, trying to make the most of the day by organizing our initiatives and choosing topics we thought we could make progress on in just one day. Eve Tulbert from Freedom Games, Jacki Carmichael from Project Exploration, Nathan Phillips from UIC, Julie Koslowsky from YOUmedia, and Jason Coleman from Project Syncere arranged our schedules around the event, we’d had meetings prior to Hive Chicago Buzz, trying to prepare. Then the event actually happened. It was a whirlwind of activity and it was a great push of momentum with many new ideas to consider. There will always be a time crunch, a push to get more done than we think possible, demands on our time and energy. We scrambled, but we made this happen. Not just for Isaiah, but for ourselves and the educators we see who want something more from our educational system – who demand that we work together to improve ourselves. To the teachers who gave Isaiah the confidence to come into an event with a group of established adults and tell us what he needed in his school and demand that we make it happen. It was a mad dash of RFP writing (we only had a week!) and voila–our project was funded. We took a deep breath and got to the main work of the project-how can we make this a reality? We had some ideas, but we needed more, and so started the next round of meetings, the brainstorming, the planning, the google doc sharing, the event planning, the contract writing, and the filling out of purchase orders. And what have we accomplished so far? We contracted with Catch a Fire with support from Hive to create a social media plan. We hired a web developer to begin the project. We organized and held two events: a Teacher Focus Group at the Center for College Access and Success and the Hive PD Calendar Crunch Party hosted by Hive at Coalition. And from these two events we’ve received a lot of feedback. Teachers loved the idea of a calendar that would show PD opportunities from various organizations across the city. Their main concern regarding calendar function was ease of use and searchability. Teachers had a lot of other great feedback regarding Professional Development in general. If you are interested in that feedback please click here for the slide presentation based on their comments. Organizational representatives who attended the Hive PD Calendar Crunch Party also had a lot of great feedback. Our web developer was on deck to answer questions and to take note on the functionality of the calendar and what other possibilities were available in the design. Representatives from organizations who could not make the PD Calendar Crunch party have been emailing requests to get their upcoming events on the calendar. We hope that the calendar will be one entry point for teachers interested in Hive, but we do not foresee it to be the only entry point. Through conversations with youth and educators we have received multiple requests for more intergenerational collaboration. We want to leverage our resources and skill sets to offer a Connected Learning solution to youth and educators who are looking for a new way of approaching professional development. This is what we love about working with Hive–the opportunity to engage in conversations that lead to meaningful, challenging work. The gauntlet has been thrown. Let’s give teachers one way to connect with Hive. Bookmark the new website: http://teachers.hivechicago.org/. Explore the calendar. Read our How-To Guide. Get your professional development events in the Hive PD Calendar here by September 10th.